Make party hosting a snap with sweet stripe party cups. 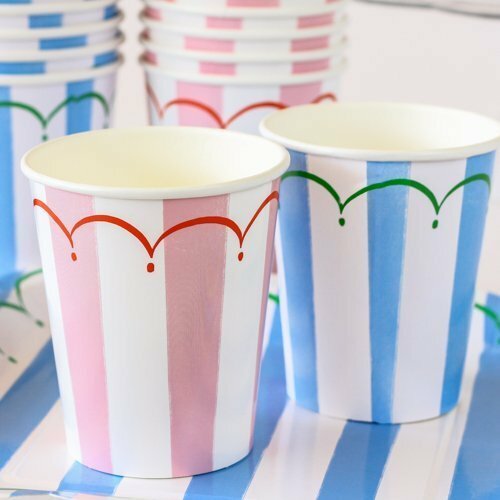 Stylishly designed with a stripe pattern in either pink or blue, these cups prove to be the perfect decoration for your party. These cups are disposable, making party clean up a snap!